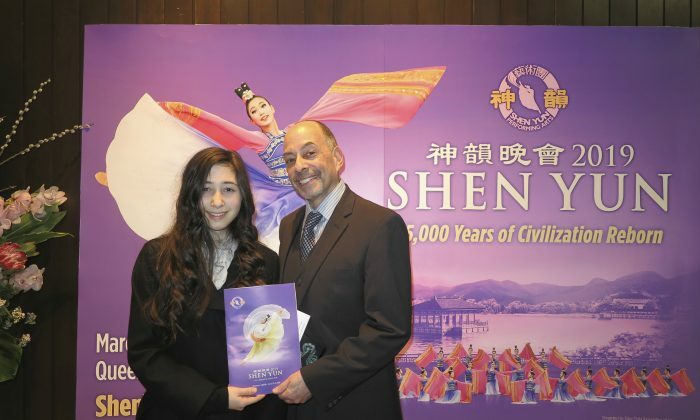 VANCOUVER—Accomplished actor and dialect coach Tony Alcantar took his daughter to see Shen Yun Performing Arts for her 13th birthday. It was her idea, and Alcantar did not know what to expect. But after stepping out of the theater, he was hooked. 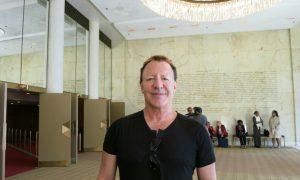 “I loved it,” Alcantar said after watching the performance at Queen Elizabeth Theatre in Vancouver, Canada, on March 22. 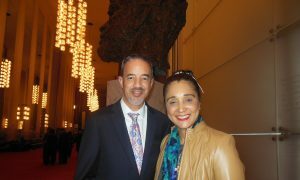 Shen Yun Performing Arts is a classical Chinese dance company whose mission is to revive 5,000 years of traditional Chinese culture through music and dance. Each performance consists of more than a dozen programs including classical Chinese dance and ethnic dance vignettes, vocal soloists, and stories told through dance. What struck Alcantar the most were the universal themes presented through the songs and stories. 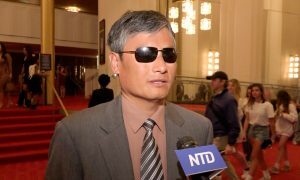 “I’m not Asian but that doesn’t matter,” he said. It was the messages of love and forgiveness that he found most powerful. “The last piece where the one character was fooled by the deceptive man. He had the inclination to turn away, but then he decided to forgive him which I thought was a very strong message,” Alcantar said. “I don’t think there was anything that was beyond my understanding,” he added. 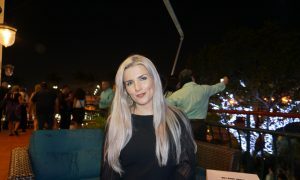 Alcantar, whose career spans more than two decades, has acted in television and film as well as provided voice acting for TV animation programs and video games. He also works as an dialect coach for the television and film industries. 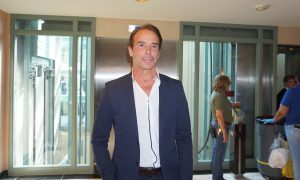 The actor said he was blown away by the storytelling and songs. One story in particular stood out to Alcantar: that depicting the persecution of a young woman for her faith in the spiritual discipline Falun Gong. “[The story] was really harsh, but it’s awesome and had to be told,” he said. Falun Gong, or Falun Dafa, is a discipline that includes meditation exercise and a set of teachings centered around the principles of Truthfulness, Compassion, and Tolerance. Adherents of Falun Gong are imprisoned, torture, or even killed, for their faith in China as a result of a sweeping crackdown launched by the communist regime against the practice in 1999. 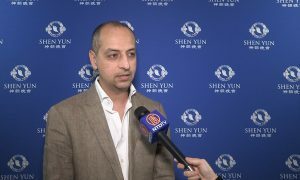 The artist thought it was breath of fresh air to find that many of Shen Yun’s performers themselves strive for personal moral improvement through their practice of Falun Gong and its meditation exercises. He added that even the comedy expressed in the performance was free from objectionable content. “It was light-hearted and fun. There is an intelligence to it. Comedy comes from a pure heart,” Alcantar said. 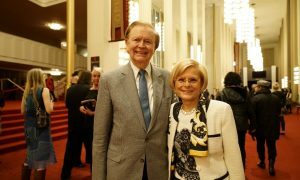 Reflecting on the status quo in the world of arts and entertainment, the actor said Shen Yun stands out amidst a sea of mediocrity. “A lot of arts these days whether its film or TV tends to be rather pedestrian and typical and normal. And it gives a view of the world where the world is defeated and dirty and that there is no hope,” Alcantar said. With reporting by Chen Yiran.